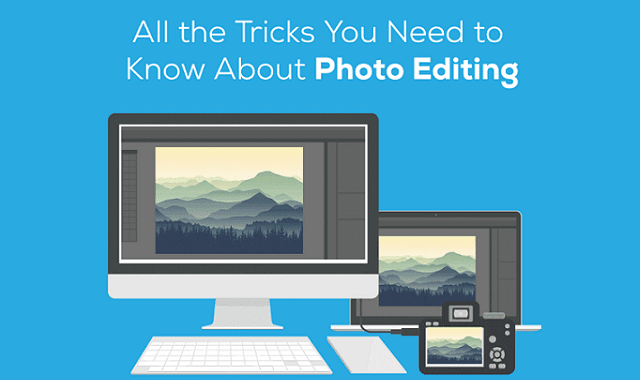 All the Tricks You Need to Know About Photo Editing #Infographic ~ Visualistan '+g+"
Photographs can mean a lot to people; to some they are time-capsules of happy memories. It could be somebody’s first holiday, a marriage or a graduation. In modern times, photography is a popular, but expensive, hobby, making it clear that photographs and their quality mean a lot to people. One of the most important parts of photography is the editing process, where even the most dull and boring photographs can be transformed into masterpieces. This is seen in many famous modern pictures today, and even photography competition winners undergo extensive editing in order to make theirs stand out from the crowd. That’s why Parrot Print decided to create a guide on how to edit, from the early steps of picking the software, to the more basic and advanced. This includes changing saturation, adjusting specific colours, or maybe even sharpening the image. If you are a beginner photographer, or even an experienced one, have a read of this guide and let us know what you think! We hope it helps!